Attorney Colavincenzo has been with Dugan & Associates since 2004. Prior to joining the firm he spent most of his career with Kemper Insurance Company in their workers’ compensation department. Attorney Colavincenzo brings extensive insurance defense to the practice where he puts that insight to work for our clients. 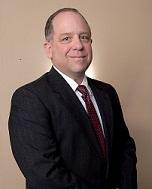 A 1985 graduate of the Duquesne Law School, he has also had experience in personal injury and toxic tort litigation. A father of three, Martin resides in the South Hills of Pittsburgh with his wife Valerie.